A child is probably the most priced possession for a person in his life. Nothing can remove the sadness that comes in a couple’s life if they are not blessed with a child. Humans seek miracles from God when all efforts have failed. For the childless couples, the efforts are not all wasted. There are some most famous temple for childless couples in India with divine powers that have blessed couples with kids. Legends, miracles or your faith, name your blessings any way you want and believe in the divine. Here are the must visit temples in India to get the boon of child. 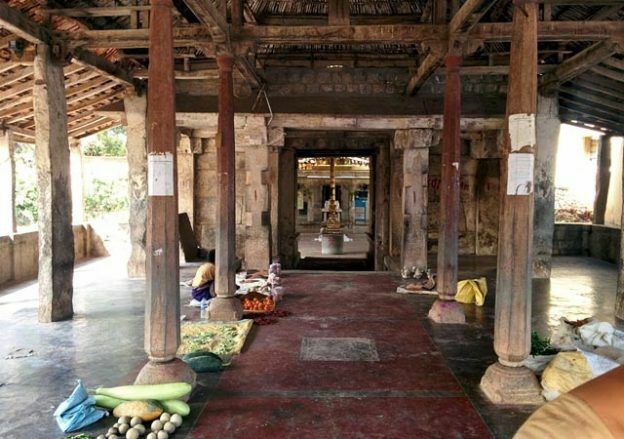 The Sri Santhana Venugopala Swamy Temple at Nanjangud is an 1800-year old temple. The temple is dedicated to Shri Santana Gopala Swamy, also known as Huchappa Gopala. Innumerable childless couples have come here and been blessed with an offspring. It is also said that any incurable disease can be cured here. The temple has a stick (danda) which is said to have belonged to Koundinya Maharishi, a saint from the pre Buddha era. Before abandoning his body, he is said to have transferred all his spiritual powers to the stick which is believed to cure any ailment, even childlessness. One of the Chola kings had only girl children and prayed to Lord Gopala to bless him with a boy. When his 12th child was also a girl, he left the baby at the temple for a day out of anger. On his return the next day, a baby boy was found and the temple got named as “Huchappa Gopala”. Devotees from all over India come to the temple with a silver cradle carrying the baby form of Lord Krishna. They offer Pooja to the lord. After your prayers, tie the cradle on the inner roof of the temple. Once the rituals are complete, the couple are given a small packet which contains kumkum from the sudarshana chakra, and a pouch containing avlakki (beaten rice), which only the couple are supposed to have. Saturdays and Sundays are the days when childless couples should visit. The Sri Santhana Venugopala Swamy is located in Hemmaragala Grama, Nanjangud taluk in Mysore district can be reached by air, rail and road routes. The nearest airport is Mysore airport (14 km from Nanjangud). The closest railway station is in Mysore (25 km from Nanjangud). Reaching the temple by road is also feasible due to a good network of road. 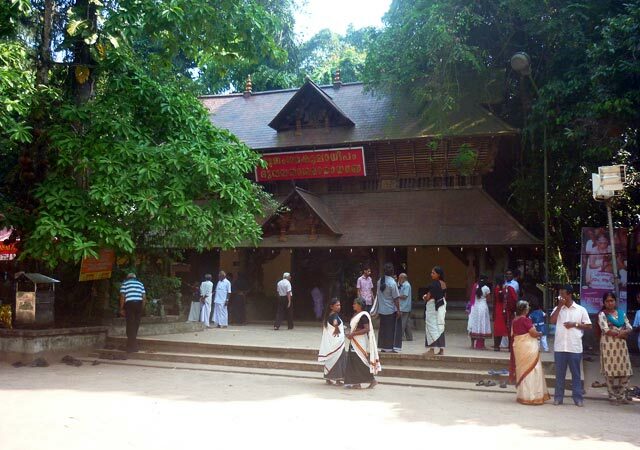 The Mannarasala Nagaraja Temple is situated near Harippad, Kerala. This is a serpent shrine under the patronage of a Brahmin family, headed by a priestess. The ancient temple for childless couples is an internationally renowned pilgrim centre dedicated to the Serpent God, Nagaraja. It is believed that Nagaraja as the installed deity is endowed with the form of Hari (Lord Vishnu) and the spirit of Lord Shiva. The temple is bestowed with the boon of curing childlessness. Legend has it that the first priestess of Mannarasala gave birth to a five-headed snake, which is believed to reside in the ancestral house to safeguard the family. At Mannarasala, women without children are offered a special turmeric paste. These miraculous paste credited with powers to cure aliments, childlessness and even leprosy. Couples who have not been blessed with a child yet, perform a ritual known as Uruli Kamarthal, and return when the child is born, to turn it up. Devotees have to purchase Uruli (earthen pot) for the Pooja. Special prayers are performed and Uruli is taken from the devotee, rituals are performed every day by the head priestess on your behalf. You have to return with your child to complete the rituals. The Mannarasala Nagaraja Temple is located a short distance from Haripad, in Alappuzha district of Kerala and accessible by air, rail and roads. The Nearest railway station is Kayamkulam Junction, about 20 km away. The closest airport is Cochin International Airport, at a distance of about 115 km. A good road network connects this temple to the nearby places. 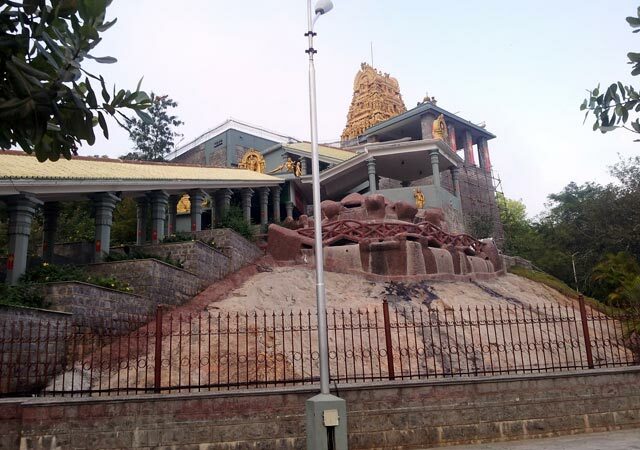 The Chennimalai Muruga Temple is an approximately 3000-year old ancient Hill Temple. This is a world famous temple of Lord Muruga. This temple is situated at about 600 meters above sea level. One needs to climb 1320 foot steps to reach Murugan Temple. Offering prayers here is considered distinctive, as it is known to grant boons to the childless couples. The Chennimalai Muruga Temple has an interesting history. The beautiful site from the top of the hill inspired the construction of the temple. The hill on which the temple is constructed is blessed with rare medicinal herbs. A speciality of the Muruga temple is that it blesses Childless couple. Devotees take a vow and spend 6 days fasting and praying at the temple premises. The period of fasting is usually after the new moon day. Devotees perform elaborate prayers after their fast. After beings blessed with progeny they return for blessings. The Chennimalai Muruga Temple is located in Erode district of Tamil Nadu. One can easily reach by air, rail and road. The closest railway station is Erode railway station, 22 km away. The nearest airport is in Coimbatore, 71 km away. The connecting roads are well-built.